Posted on April 13, 2018 at 9:22 am. 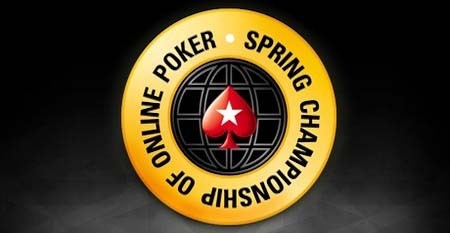 A whopping USD $65 million will be up for grabs at the 2018 Pokerstars Spring Championship of Online Poker. The guaranteed bounty is the biggest, ever, for a PokerStars tourney and tops last year’s figure by $10 million. The tournament is due to kick off on May 6 and runs through until May 21, with the poker giant vowing to run at least one tournament worth $1 million every day for the duration. The beauty of the $1 million dollar tournaments is the fact you can buy-in at many different tiers; meaning you you could but into a $2.20 satellite and progress right through the tiers and wind up playing for $1 million. The maximum buy-in will be $25,000. Stars Group Chief Executive Officer Rafi Ashkenazi said the record breaking 2017 event had forced their hand in pouring more money into this year’s Spring Championship. “2017 was a record-breaking year for SCOOP and online poker,” he said. .
Last year’s Pokerstars Championship delivered some definite highs, including the highest grossing day of online poker ever and the biggest ever online tournament series. Over $39 million in winnings was given out in one day and over $94 million was paid out over the entire series. One country whose citizens will be unable to compete in the Spring Championship this year is Australia, which effectively banned online gambling late last year, including online poker. On top of the undoubted appeal of a bucketload of money up for grabs, players who enter SCOOP tournaments can win one of five Platinum Passes to the Pokerstars No Limit Hold’em Championships to be held in the Bahamas in January. A platinum pass is worth $30,000 and covers travel and expenses.